DSO ANNOUNCES FREE PATRON CONCERTS THIS SAT. & SUN. The DSO announced earlier today that late last night a tentative agreement was reached between the negotiating committees after 27 hours of bargaining over the weekend. The DSO is not releasing details on this tentative agreement at this time. The DSO will make other announcements later this week about the 2011 Spring Season at Orchestra Hall and in the neighborhoods it serves. “As we return to our home, I’m confident that the artistic product will continue at the highest possible level. There is much to be done but the DSO will emerge a healthier and stronger institution,” said Slatkin. The Detroit Symphony Orchestra will be holding two free concerts this weekend as a thank you to their fans as the musicians kick off the 2011 Spring Season. The concerts, which will be conducted by Music Director Leonard Slatkin, will be held Saturday, April 9 at 8:00 p.m. and Sunday, April 10 at 3:00 p.m.
Tickets are open to everyone. 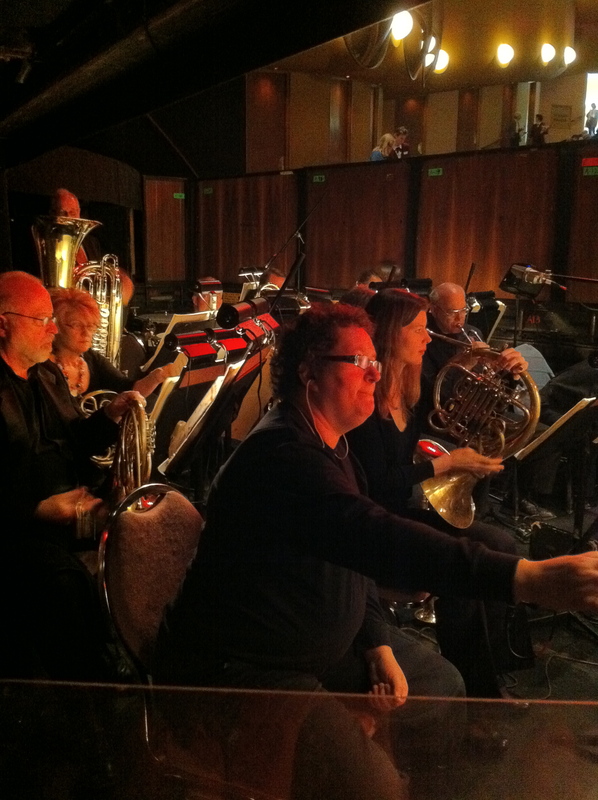 However, they are general admission and can only be obtained by calling the DSO box office. The box office is open Monday through Friday from 9:00 a.m. to 5:00 p.m. and can be reached starting Tuesday at (313) 576-5111. Further announcements about the Spring Season will be made later this week. J.S. : If you had not taken up the violin, what other instrument might you have played? The piano, the cello? Perlman: Probably the cello. And then maybe, as a wood instrument, the oboe. I love the oboe. Hong draws on the history of classical music to show kids that rebellion isn’t anything new. For his Lied Center recital, Hong has chosen an audience-friendly program, including music by Frédéric Chopin, Johannes Brahms, Felix Mendelssohn, George Gershwin and Sergei Rachmaninoff. Unlike many doom-and-gloom types, Hong is hopeful for the future of classical music. Wow … put the video up before I’d watched the whole thing. I found it pretty amazing. Not everyone’s cuppa, I’m sure, but I thought it was incredibly powerful. I’m done with ballet for this year. I really enjoyed this run, and it was quite unstressful — I had tiny solos, but they were the sort no one even notices, I’m sure, and certainly nothing that makes me nervous. 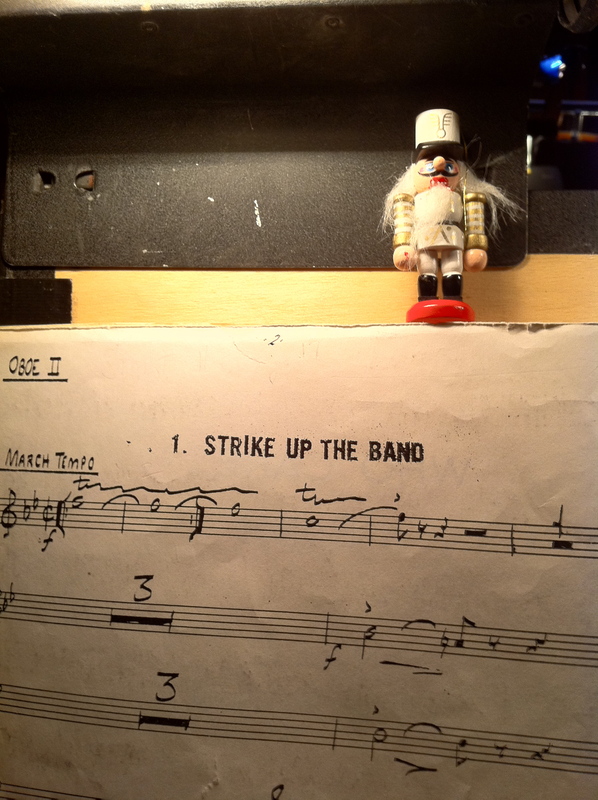 We had a guest conductor who I found enjoyable to work with. He had us seated differently and I think it was an improvement from our normal seating, even while it meant I no longer get to see a thing; I was sitting underneath the lip of the stage. 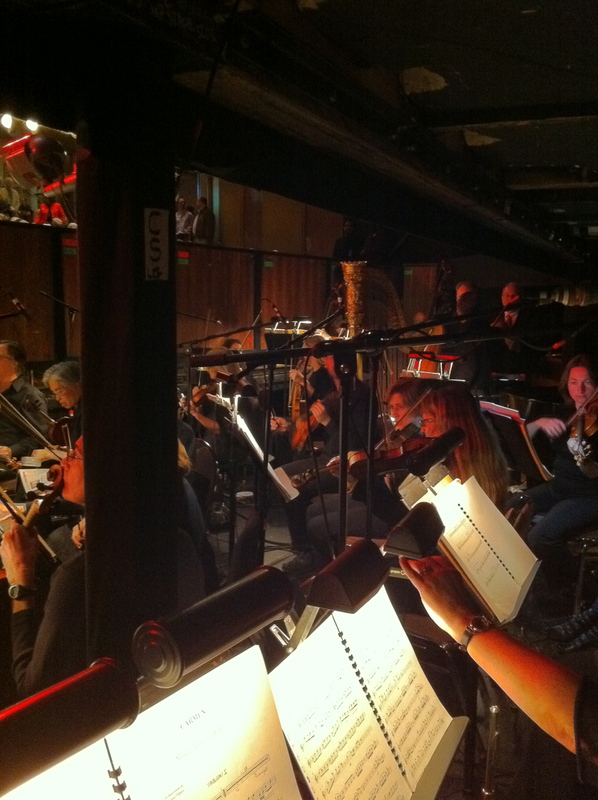 Ah well … the “best seat in the pit” was fun while it lasted! This new seat does allow me to hear the strings a lot better, and I like that. 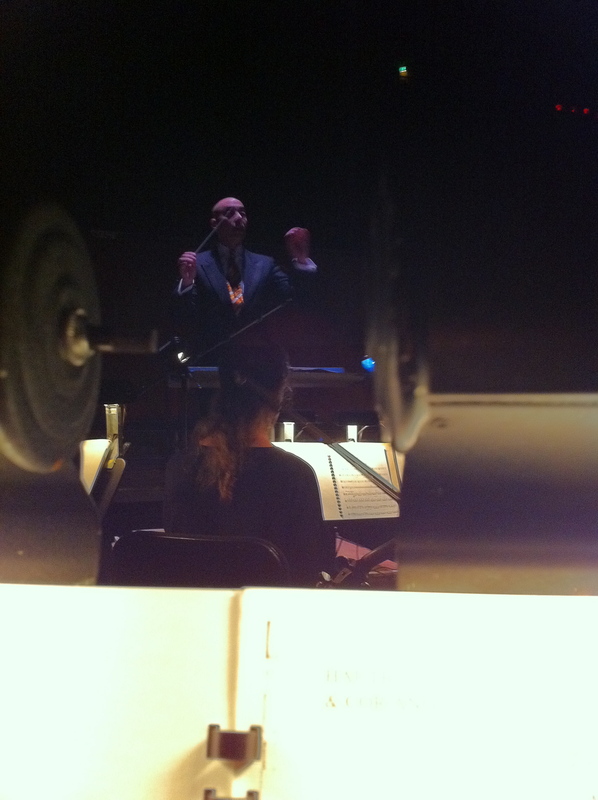 Below are a few photos of my view from the pit. I always enjoy the differences between opera, symphony and ballet audiences. 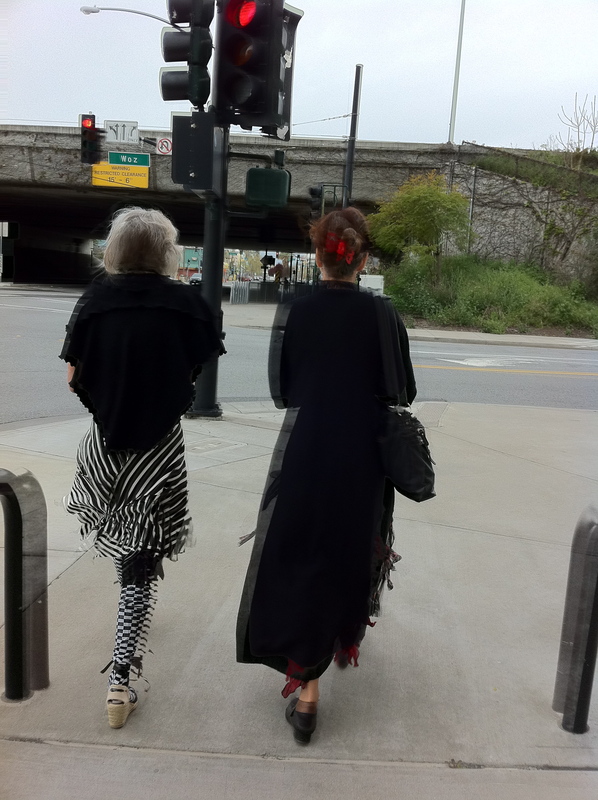 It would be very rare to see people dressed this way for a symphony concert! Next up is La bohème, but this week I have no work at all … well … aside from seventeen students! Nathan just informed me he wants to learn how to play the oboe. Then he demostrated how to play one. Thanks, Little Einsteins….I think…..
Just feet from a methadone clinic at a grimy crossroads in far east Portland, Ore., transit officials and police are hoping a touch of class will chase off the vagrants, vandals and ne’er-do-wells that loiter near a busy transit stop. Since November, the regional transit department has approved the playing of classical music in an effort to ward off the kind of crimes that happen when people just hang around. A bill making its way through the Oregon Legislature would expand the program to all light rail stops in Clackamas, Washington and Multnomah counties deemed high-crime areas by police or residents. “Classical music” in this case means opera, chamber music, choral pieces and music requiring a full orchestra. On a drizzly Wednesday morning at a pilot site in Portland, it was Bizet’s aria from Carmen, the one that rolls to a slow boil as she tells the audience she only loves those who refuse to love her back. I can’t tell you how tired I am of this idea, and yet I would be quite happy to hear some classical music at stores, rather than the stuff they are currently playing. So oh well! But … here’s something that just hit me … while they are suggesting classical music will rid us of these annoying youth who are causing such a ruckus (or something) how many movies and TV shows feature serial killers who adore classical music? Really now … so perhaps we’ll rid these areas of kids and bring in the serial killers, eh? Hmm. Thinking about buying a cello. That or a harmonica. I never got into playing a musical instrument, maybe it’s time…’Oboe’ is fun to say.